devise and implement strategies to attain them." Brian Greene works with regulatory clients in several jurisdictions to achieve their energy objectives. Brian’s clients benefit from his deep knowledge of each state’s regulatory landscape, his experience practicing among various commissions, and his focus on his client’s bottom line and specific goals. Many of Brian’s clients are competitive retail suppliers of electricity and natural gas. Brian’s background in the retail energy space includes helping to draft many of the regulations for competitive choice throughout the Mid-Atlantic region. Today, Brian assists clients with daily operational and compliance issues, and in regulatory proceedings, ensuring that his clients adhere to the very regulations that he helped draft. Through it all, Brian not only affords his clients the opportunity to be innovative and creative in developing and marketing new products and services, but also attempts to guide his clients past troublesome issues before they become rule infractions or operational impediments. Brian frequently appears before commissions for a variety of other clients, including water utilities, a natural gas distribution company, demand response providers, and landowners in transmission line cases. 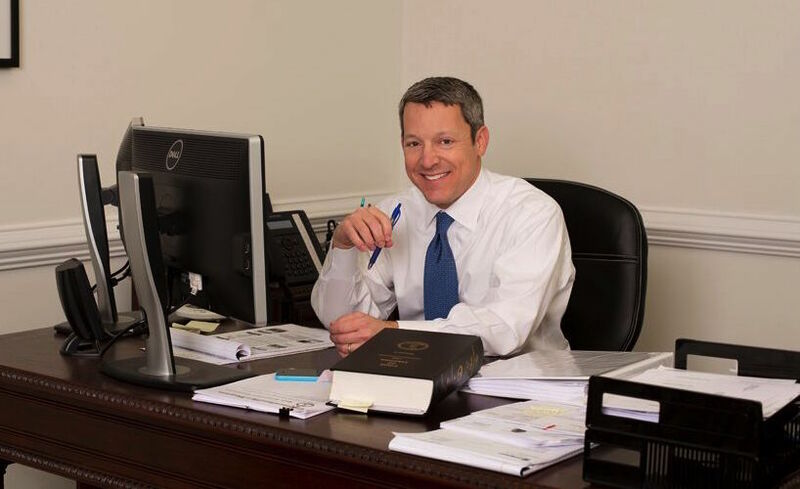 Brian’s peers have selected him as a Virginia Super Lawyer every year since 2006, and he has received Martindale-Hubbell’s highest peer review rating. Since 2009, Virginia Business Magazine has listed Brian as one of Virginia’s Legal Elite in the Legislative, Regulatory, and Administrative Law practice area. These honors are significant because they are dependent on the votes of Brian’s peers among the Virginia Bar. Brian takes pride in being an active member of the Richmond community.. He serves on the board of the Jewish Community Federation of Richmond and also the Weinstein Jewish Community Center. Brian has served on the board of the Herb Cohen Memorial Fund — which has provided more than 200 scholarships since 2001 for kids to attend summer camps — since its inception. He also served for four years as the president of Rudlin Torah Academy, Richmond’s Jewish day school. Brian and his wife have two kids. His accomplishments in this area include coaching his son’s Little League teams for years, including one walk-off championship, and his daughter taught him how to pitch a tent in less than 45 minutes (which for Brian is a significant accomplishment). You can always find Brian rooting for his beloved Wahoos and Washington Nationals. William B. Thalhimer Sr. Young Leadership Award, presented by the Jewish Community Federation of Richmond — 2012.